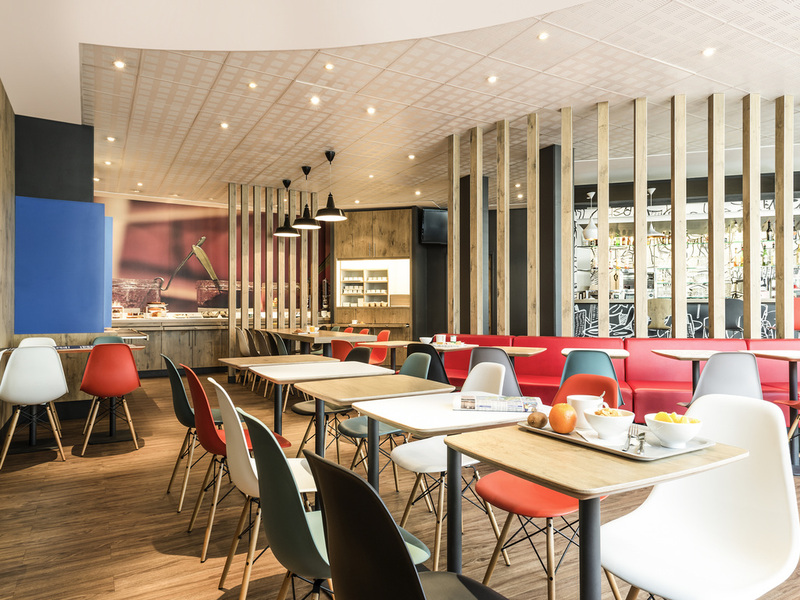 The whole team at the ibis Bordeaux Centre Bastide hotel welcomes you for your business trips or vacations. Relax on our terrace, or reach the right bank via the Batcub river shuttle, the tram, on foot or using the bikes available at the hotel. Located on the right bank of the River Garonne, 10 minutes by tram from the UNESCO World Heritage Site of Bordeaux city center, the 3-star ibis Bordeaux Centre Bastide hotel welcomes you for your business and tourist trips. Close to the Cité du Vin museum, Arena concert hall, conference center and Matmut Atlantique stadium, the hotel offers air-conditioned rooms with free WIFI, buffet breakfast, web corner and secure car park. Discover our new restaurant concept: ibis Kitchen Lounge. Enjoy the warm, trendy and musical setting while you dine on a sharing platter, accompanied by a glass of wine.